With the great durability! Size: 3x5 FT. Sewn Stripes & Embroidered Stars. With the great durability! Size: 2x3 FT. Sewn Stripes & Embroidered Stars. 210D Nylon Material. With the great durability! Sewn Stripes & Embroidered Stars. Size: 4x6 FT.
With the great durability! Size: 4x6 FT. Sewn Stripes & Embroidered Stars. 210D Nylon Material. 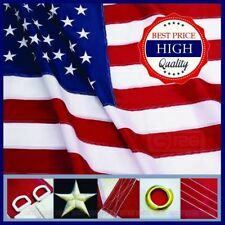 5 out of 5 stars - 4x6 ft USA American Flag Embroidered Stars Sewn Stripes Grommets Nylon US U.S.
19 product ratings19 product ratings - 4x6 ft USA American Flag Embroidered Stars Sewn Stripes Grommets Nylon US U.S.
With the great durability! Sewn Stripes & Embroidered Stars. Size: 3x5 FT. This note is poly carbon based then 24k gold foil is pressed into the bills. This is NOT real money, its a novelty bill and is for collecting, gift giving, trading, and displaying! The bill has NO cash value! Vivid color Embroidered Stars and Sewn Stripes with Double-Needle Lockstitch with 4 Rows on the Fly Hem. This Durable Flag can be displayed either indoors or outdoors. Flags are Dye-Sublimated for Clear Vivid Bright Colors - Large Standard Size 3ft by 5ft Flag 3x 5 FT, Durable Flag For Outdoor and Indoors. The Official 50th Anniversary Coin - SPECIAL LOW PRICE! Sewn stripes & embroidered stars. 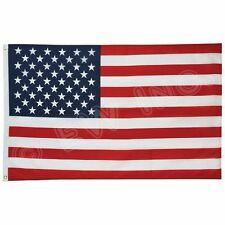 This Durable Flag can be displayed either indoors or outdoors. Vivid color with Double-Needle Lockstitch with 4 Rows on the Fly Hem. Size: 152 x 244 cm (5 x 8 ft). 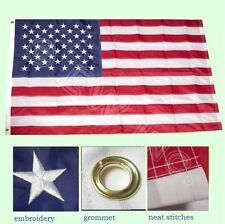 This is a Beautiful 3x5 Feet Embroidered American Flag made of nice quality as the picture shows ,has sewn stripes(not printed), embroidered stars and two brass grommets . 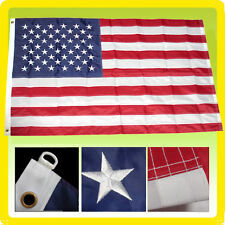 Flags of similar Size and Construction sell for over $35.00 in stores!!! With the great durability! You can fly it in winds every day! Keep America prosperous!! Heavy duty canvas heading with two solid brass grommet Sewn stripes & embroidered stars. 100% Brand New • Color: Red • Material: Cotton • High Quality Embroidered Make America Great Again & USA Flag • One Size Fit All Easy Adjustable with Velcro Tape • Package Included: 1x Make America Great Again Hat Color Red Type Type: Unisex 2016 Make America Great Again Flag Hat Style 2016 US USA President Embroidered Mesh Cap Brand HomeSmith UPC 782298904689 MPN US FLAG HAT. Red/White 2020 Trump Pence TP Flag offset on front panel and proudly Embroidered in the USA! SHOW YOUR SUPPORT for our President and his 2020 campaign . ORIGINAL DESIGN and Hat. Our flag was the U.S. flag of the Pacific Fleet. These are the least expensive flag Valley Forge makes. These are one season flags. Depending on conditions and care, most will hold up through a couple seasons. Buy 3 Get 1 Free!!! Buy 5 Get 2 Free!!! POW/MIA, US Marshal, and FBI Lapel Pins are not included. US Secret Service Lapel/Hat Pin (Set of 3). With butterfly clutch back. you have our word ! (rev. 1 Oct 12). you have our word! (rev. 11 Feb 12). Due to the difference between different monitors, the picture may not reflect the actual color of the item. You may also like. We will reply you ASAP. Free 24 Hour Shipping From Maryland USA!. Size: 3 Feet x 5 Feet. Material:Polyester Fabric. Double Stitched Edge with Two Grommets. Click for Full Description. Size:90x150 cm (appr 3x5 ft). Sewn stripes & embroidered stars. Complete NEW Hillary Clinton Madam President Newsweek Magazine. Recalled. Be wary of sellers selling only the front cover or just a photo of the cover. This is the entire magazine, and has not been read. If you want photos of your specific copy, please message me. Item Type: Hat. You may also like. We will reply you ASAP. High-quality printed 8"x10" official photo with customizable autograph from President Donald Trump in Donald Trump's own notorious handwriting in gold. Are you looking for the ultimate gift for that Trump fan in your life?. 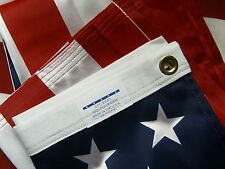 This 3ft by 5ft California Flag is a printed flag that is made of a good quality polyester. Heavy duty polyester canvas. Great for indoor and outdoor use. Suitable for indoors and outdoors. Sewn Stripes & Embroidered Stars. Size: 4x6 FT.
♡ 1/2" Silver plated ivy leaf charm. AKA Charm Bracelet. ♡ 7.5" Silver stainless steel bracelet bangle. We proudly present you this great Donald Trump hat. Simple as that! Print is produced on HP High-Gloss picture paper, contains a white border (see pics), and is ready for framing. Our flag was the U.S. flag of the Pacific Fleet. The ultra knit fabric is lightweight and heavily stitched with quadruple stitching on the fly end. Superior Quality and an EXCELLENT Alternative to the Sentinel. We are certain you'll love your item. We'll get back to you very quickly. This artwork is professionally printed here in USA, ensuring vibrant print & premium quality. 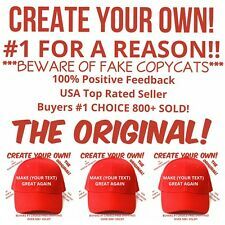 You will love this hat! We produce everything in house here in the USA. Closure: Hook and loop. Profile: Mid. 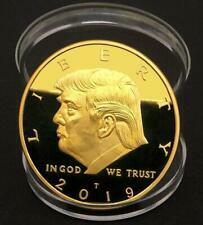 New Donald Trump 2020 Yarmulke Kippah Kippa Kippot. In Hebrew "Donald Trump 2020 " . Reelect Donald J Trump 2020 . Skullcap Hebrew. THIS NEWEST VERSION ALSO INCLUDES THE CORRECTED REVISED FINAL HEBREW LETTER FEY. Color: Red. Available in Red. This wallet has window for your permit or ID. It's an absolute must for any person that carries a concealed weapon. Color: Black. Color Black. Product Details. Colorizing coins involves the unique application of special inks directly to the surface of a coin that achieves a level of detail, color saturation, and durability that is #1 in the coin industry. The result is an everlasting colorized coin collectible of ultra-high quality. Great Quality, Made with 65% Cotton 35% Polyester. Condition is New. Indoor or Outdoor, Fly Well In Light Winds. Stronger 100D Polyester. Material: 24 karat gold plated, alloy center. 2018 coins are sold out . Weight: 1 oz or 30 g.
5'x8' ft American Flag Sewn Stripes Embroidered Stars Brass Grommets USA US U.S.
What Types of Items Are Considered Historical Memorabilia? 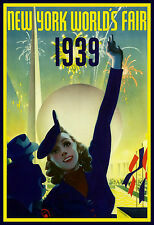 When it comes to historical memorabilia, many types of items can have monetary or sentimental value. Historical documents such as letters, books, and diaries are popular collectibles. Photographs, photo albums, and scrapbooks also qualify as historically significant, especially if they include known historical figures. Old video and audio recordings featuring historical figures are excellent items to add to a collection. Political collectibles, such as posters, buttons, and leaflets, are common types of historical memorabilia, especially pieces related to famous diplomatic figures. What Are Some Tips for Keeping Historical Paper Documents in Good Condition? Store memorabilia made from paper in a cool, dry place where the temperature hovers between 65 degrees and 70 degrees Fahrenheit. Avoid exposing the paper to direct sunlight for any significant amount of time. To display paper memorabilia, frame and mat the pieces with acid-free materials. Never fold or roll paper memorabilia. Instead, keep pieces flat with acid-free spacers between each piece of paper. How Do You Take Care of Old Photographs and Videos? Keep old photographs in a cool environment. Color photographs remain in top condition at a temperature of about 40 degrees Fahrenheit, but you should avoid basements that have damp air. 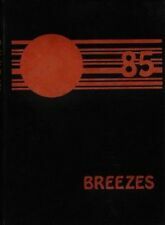 Handle the photographs by the edges while wearing lint-free gloves, and do not expose them to sunlight for long periods. Because VCR tapes degrade over time, you should copy the footage to longer lasting formats, such as DVDs and digital storage devices for viewing. Only play original VCR tapes on rare occasions, and use a clean VCR when playing them.